The Dutch house aficionado Frits Wentink has been a busy man this year, touring three continents and releasing a couple of saucy EPs along the way. His partnership with lo-fi don DJ Boring resulted in a wonky breaks-influenced (and cheekily-named) ‘Wasted Years of Pumping Iron‘ EP, released on his own Bobby Donny imprint in May. 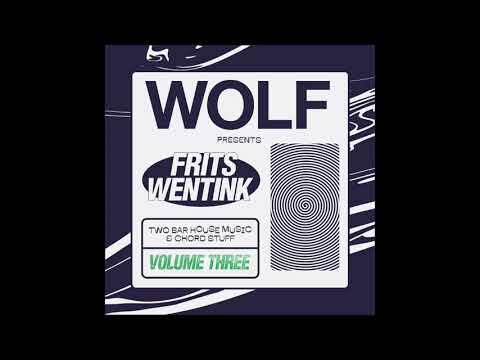 Frits started the year with a second edition of his three volume series ‘Two Bar House Music & Chord Stuff‘ with the first one being released back in the summer of 2017. Drawing inspiration from luminaries such as Kerri Chandler, each EP contains four themes, showcasing the versatility of Frits, as he blends a number of surprising elements, adding his signature lofi-ish touch. Today we take a look at the third and final LP in the series, coming out on WOLF Music, as were the previous two. The label, residing in the serene British seaside, has been operating for almost a decade, boasting an impressive catalogue with the likes of Medlar, Bicep, Waze & Odyssey, Session Victim and Francis Inferno Orchestra being just a few of the well-known and respected names. The last instalment of ‘Two Bar House Music & Chord Stuff’ gives us another taste of Frits’ unconventional and quirky style, with distorted vocal bits, bouncing bass and that ‘chord stuff’ resembling the 80s Chicago house heaters. Theme 11 offers up a chuggy affair where glistening arps are interspersed with squelchy and sustained synths. Elements and effects are combined throughout, mesmerising you with a glimpse into the wonky world of the Frits’. All 12 themes are unnamed, which somewhat resonates with the cheeky title of the series. The Dutch producer is definitely one to look out for in the future, as he continues to spearhead the lo-fi scene alongside such names as DJ Seinfeld, Ross From Friends and of course his Boring Aussie comrade.